Why not share £200 with a friend? We take it as a huge compliment that since we started in 2001 most candidates now come to us through referral. We know there are many agencies to choose from, and we'd like to think that it's more than just our friendly and professional service that differentiates us. We value referrals and recommendations very highly. If you have a friend who is currently looking for a new job or would simply like to discuss their options, please put them in touch with us by completing the form below. How many people do you know who could benefit from our services? Why not recommend them so that if they secure a new role** through Plum Personnel you will EACH receive a Touchwood Gift Voucher worth £100! * This offer excludes candidates currently registered with Plum Personnel. No monetary alternative is available. Referrals must be made via our online form. 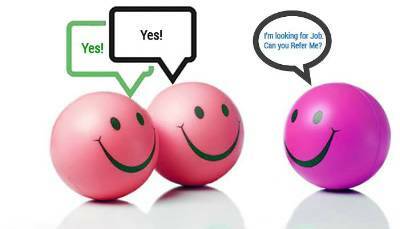 ** To qualify for a reward, your referred friend must be placed within 12 months of their registration. For permanent roles, the referral reward will only be made on the successful completion of the probationary period. For temporary positions, the referral reward will only be made providing the individual has remained continuously in the same role for 26-weeks and is subject to payment being received from the client. Plum Personnel Ltd reserves the right to offer an alternative reward of the same value at any time and their decision is final.